In 1962 Dr Who? was merely an actual legitimate question. Sydney Newman (Brian Cox), a BBC Executive producer, has an idea for a science-fiction series with a time travelling Doctor as the main character, he then hires his previous assistant, Verity Lambert (Jessica Raine) as the producer on the show, an Indian, Waris Hussein (the great Sacha Dhawan) to direct, they then approach William Hartnell (David Bradley) to play the Doctor and the rest, as they say est histoire. Innovative and perfect for the BBC, although that wouldn’t be recognised initially, Dr Who has become the BBC’s longest running and most successful drama. This film was made as part of the 50-year anniversary of the original screening of the first episode, which aired on 23rd November 1963. 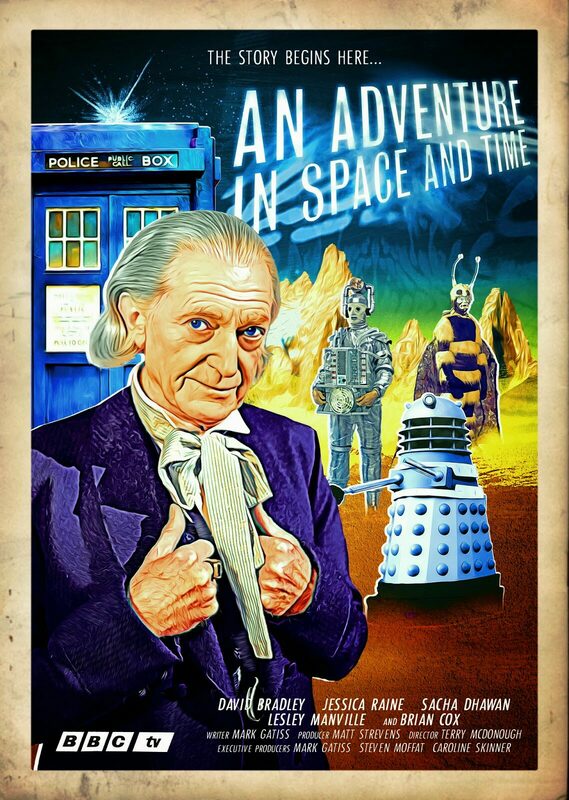 For half a century, viewers all over the world have been gripped by this, mostly lo-fi, tale of space and time traveller, the goodly Doctor. Many a child will tell you about hiding behind their sofa when the credits came on but they all were drawn to watch the Doctor battling, amongst many others, the Daleks, the Cybermen and the Ice Warriors. This love letter to the time traveller’s origin story written by the extremely talented Mark Gatiss is more about an ageing actor who is given a role that will ultimately define him, albeit in his later years. David Bradley is magnificent, imbuing the character with pomposity and insecurity but also softness and sensitivity. All the cast are enjoyable and help to create this lovely film. Whether you are into the Doctor or not, this is well written, well acted and well directed.